With this blog, we aim to increase the spread of new knowledge about cancer while providing helpful and interesting information for our members, partners, and supporters. 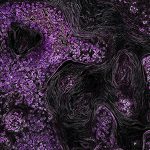 Here you’ll find information about the latest advances in cancer research, including stories based on AACR journal articles and meetings. We’ll share updates on the AACR’s activities and initiatives, and feature guest posts from advocates, early-career investigators, and established researchers. The AACR’s mission is to prevent and cure cancer through research, education, communication, and collaboration. For years, we’ve pursued these goals through our scientific conferences, peer-reviewed journals, policy work in Washington, D.C., and more. With Cancer Research Catalyst, we hope to bolster these efforts by communicating regularly and openly while offering you, our members, a platform to engage with one another, interact with AACR leadership and staff, and provide feedback. In that spirit, we want to hear from you! Leave a comment, or connect with us on Facebook, Twitter, or LinkedIn. Have an idea for a post? Interested in guest blogging? See room for improvement? Email blog@aacr.org. As you may have noticed, this blog is just one part of the new and improved AACR website. We recently re-launched www.AACR.org and will be rolling out a new AACR Foundation website in the coming months. The AACR brand and logo were also refreshed. These updates will help us better serve all of our constituents, and I’d like to take this opportunity to publicly thank the AACR staff for their hard work and excellent execution of this project. From all of us here at the AACR: We look forward to building this online community with you.